Take de-skinned black gram (Chaaya Mina Pappu) in a bowl and wash it. Add water and soak it for at least 6 hours. Preferably soak it overnight for better results. When soaked well we can grind it to a smooth paste. But before we start grinding, prepare the rawa. Take Idlirawa in a bowl and wash it. Take care to remove any sand particles present in the rawa at this stage. Soak the rawa for few minutes in water. While it is kept for soaking, grind the soaked black gram to a smooth paste by adding water in small quantities. One can grind the black gram in a mixie or in a wet grinder too.If the batter is thin we cannot make Idlis. So take care not to add too much water while grinding. The entire softness of the idli is directly proportional to the art of mastering grinding with optimum quantity of water. After grinding take the batter into a bowl. Now remove water from the rawa. Remove excess water from the rawa by pressing between your fists. The rawa should be wet to touch but not watery to drop. Remove water from the rawa as much as you can. Add this rawa to the ground batter. Also add salt. Mix with fingers thoroughly. Keep this bowl aside for nearly 6 hours to ferment in a warm place. Preferably keep this bowl in a plate (plate should be bigger than the batter bowl). Once fermented the batter may overflow from the bowl—so keep it in a plate so that even if it overflows, the batter will fall in the plate. After 6 hours when the batter is fermented, it is ready to be made Idlis. Take an IDLI PATRA to prepare Idlis. Remove the plates and add water to the PATRA. Heat this IDLI PATRA. Wash the plates under running tap once—this we are doing to make them wet. Keep the wet plates aside. Take the batter and check the consistency. Add water to the batter if required. Add water in small quantities only. I repeat, If the batter becomes thin we cannot make Idlis. If you lift and pour the batter with a ladle it should fall in a haltingly flowing way. So add water little by little till you get the right consistency. Now take the wet Idli plates and pour batter in each slot. Don’t fill the slots to the brim. Arrange the plates in the IDLI PATRA. Close the lid of the PATRA and allow them to cook. After say 5 minutes we can see steam escaping from the PATRA. Then lower the flame and cook for 7 minutes. After seven minutes, check whether the Idlis are done or not. To check this, touch the cooked Idli with a wet finger. If the batter sticks to the finger, it means it is not yet cooked. So cook for some more time. There is no danger of the Idlis being over cooked even if they are on the flame for two to three minutes extra. If the batter does not stick to the wet finger, it means the Idlis are done. Take the Idli plates out from the IDLI PATRA and keep them aside for 2 minutes to cool. Take a small HASTAM and dip it in water before removing Idlis from the IDLI Plates. Serve these spongy hot Idlis smeared with ghee. Eat these Idlis with Coconut chutney, Karapodi or Sambar. The best Idlis come from Idli Patra only. I have tried with different brands of Pressure cooker Idli plates before making this statement. The newly married may straight away invest in a Idli Patra rather than Pressure cooker Idli plates. Is there a difference between Idly Patra or Pressur cooker Idly plates? As you mentioned in Tips section of Idly making method, I have one of them but not sure which one, could you please upload a picture of each of them just to avoid the confusion between the two? I have shown Idly Patra with plates in the recipe for Idly. am srividya,, thanx a lot for ur site and ur recipies am really very grateful to u..meedi vizianagaram ani vinni chala anandam anipinchindi...maadi vizag,,presently am in manchester..ikkada idli rava dorakadu..meeru naaku adi intlo ela cheyalo chepagalara. Thanks for your feedback. I haven't tried to make idli ravva at home. I Recently found your site from youtube,and know am watching it regularly. I was always in search of simple home made andhra receipes with simple tips and guidence and and i found your site with all thouse information thanks to you. I am staying in newjersey with my husband,me and my husband loves rawa idli but due to the weather and different rawa i never used to get good idli's..but after watching ur idli receipe with gud tips and proper mesurements finally i got soft tender idli's,if u can give me some more tips for idli making that wud be a great help.. I liked your site very much,with simple home made receipes you share with us,and more over it is in telugu language very easy to understand the indredients and step by step process. Its nice that you are successful in preparing Idlis. As far as additional tips - because of the winter, sometimes the dough may not ferment. Keep the dough in a warm place like - Put it in the pressure cooker overnight and remove the weight or in a 40 degrees preheated oven or any other warm place. Remember that the bacteria need oxygen to multiply and ferment. I love all your recipes and I want to thank you so much for them. I saw your video on idli. 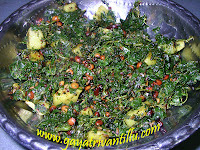 I wanted to know do you soak the urad dal and also the idli rava and while grinding should we grind only urad dal. Should we grind idli rava or not or should we just mix the idli rava with urad dal batter. Urad Dal needs to be soaked for about six hours or overnight. Just before grinding the urad dal, soak the idli rawa. After grinding the urad dal, press and remove water from the idli rawa before mxing it with the urad dal paste. Idli Rawa needs to be soaked for a while only and doesn't need to be ground before mixing it with the urad dal batter. Hope you would be successful and enjoy Idlies soon at home!!!! The batter needs to be fermented for atleast 6 hours depending upon the room temperature where it is kept. Fermentation makes soft idlis. Some times if it is not very warm, you may have to put it for fermentation the previous night also. Therefore you may prepare the batter on the previous night and use it in the morning. I am new visitor your site.Thank you for your valuable suggestions regarding kitchen appliances. Recently we brought Ultra+ wet grinder. For making IDLI/DOSA batter of 4 cups (Includes rice&dal) it is taking approx 45 minutes and the batter is also not that smooth as expected. Can u please guide whether our grinder working is proper and also provide some useful tips for mantainence of wet grinder. I use 2 parts rawa for one part urad dal. What I do at home only has come on to the video as well. hi gayatrigaru iam priya.we r @amsterdam. thanks for your delicious recipes.india lo memu unaapuudu idly preparation ki 1 dal 2 ravva use chesamu. maku ekkada boiledrice matrame dorukutundi. ravva dorakadu.rice ite "soft idly " ki enta add cheyalo cheppagalaru. I TRIED MAKING RAVA IDILI TWICE,BUT IT DID NOT TURN OUT WELL.THEY LOOKED CREAM IN COLOUR AND HARD.HOW CAN I MAKE IT BETTER? Generally Idlis become hard when the water content is less. Just moderate the water in the batter, you should get them. Batter should be dropping freely from the ladle but not running like dosa batter. I hope you have followed the other steps in the text of my recipe before attempting the dish. Rawa Idlis would not be pure white, unlike the rice idlis. They would be slightly creamish only because black gram batter and the idli rawa are both cream in colour. Mine are also slightly creamish only. hai gayatri madam, iam sofi iam in nj just now isaw ur site its simply super only thing is u speaking in telugu., while searching how to prepare idly batter using idily sooji i got ur site its realy useful for me thankyou. 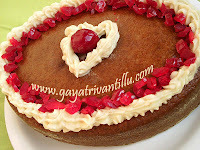 hi gayatri garu ... ur website is very helpful for me ... thanks for the recepies ... and i wil be glad if u tell the recepie of idly which is made from idly rice .. I really enjoyed your video on how to make idli. I could not really follow the language (a bit too fast for me). The way you presented the methodology as well as the tone of your voice indicates to me someone who not only has a passion for cooking but someone who is caring, nuturing, and kind. What language were you speaking in the video?